It’s incredible what a stranger will tell you while packing your groceries. Spend a lot of time in the United States, and you’ll begin to notice. Two premium grocery stores have a very different feel and price ranges, yet they have something in common. Whole Foods, now owned by Amazon, and Trader Joe’s employ a lot of over fifty-year-olds, and if you take the time to chat while checking out, you’ll discover that a large percentage of them are highly educated — and broke. Studying hard, getting a degree, buying a house, raising a family, they did the right things and followed the plan. Now in their fifties (and older) they wear the t-shirt and work the shift. Is there another way? This is the market for the people selling get rich quick schemes. The online millionaire, the multi-level marketer, and the trader. All offer the promise, a glimpse, of a life deserved, not a life lived. For some, it’s an online business. Lured by the stay at home mom, who has made millions and changed her life, they ask themselves is it possible, and for others it’s networking, giving friends products and introducing them to a low cost and easy to start business. 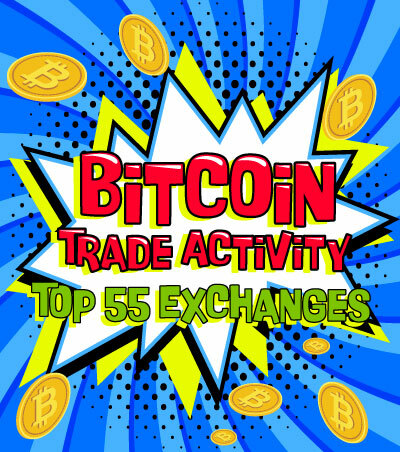 For another group, it is trading — speculating in stocks, forex, and cryptocurrencies. Most do nothing, preferring instead to dream and wish, but others take action. They arrive, fresh-faced and eager to learn, new to financial markets and especially cryptocurrencies, they are dazzled by the tools they have at their disposal. But behind the flashing lights, multi-screens, and indicators, there’s a different story playing out. Not one of success, riches, and fulfilled dreams, but instead of blown up accounts, losses, and debt. On the surface, it seems so easy, so much free help, so many opinions, and easy to use tools — indicators that unlock market riches, even social media trading sites, like StockTwits, TradingView, and eToro, where you can read or also copy the trades of someone you follow. With so much advice and help, covering order types, technical indicators, and chart patterns, it’s no wonder lots of new people enter into the markets. But few of them make it, most, the majority, the 95%, fail. Some lose a large percentage of their trading account, some lose it all — and more. Like following the plan set out in life from education to career, you are not guaranteed success when you open a trading or exchange account. Many things can trip you up, no matter how hard you work, and how intelligent you are. Let’s start with this. Did you ever stop to think where all the trading knowledge came from and why it’s being given to you — for free? One of the claymores that take out the most traders is position size and the use of margin. This trio are not weapons of mass destruction, nor are they the secret police from a country you’d never want to visit. They are a set of rules designed to protect you from yourself and from the companies whose business it is to provide the mechanism and accompanying tools that allow you to trade financial markets. Depositing $10,000 in an account with 400:1 margin would allow you to control a $4,000,000 position. And of course, it also means a small move against your trade would wipe out your account — and more. So, where does the $3,990,000 that you don’t have in your account come from? It’s a loan — and that’s what margin is. Trading with this kind of leverage is financial suicide, yet despite this, a lot of traders complained about the new restrictive trio of rules. But, a few traders realised that instead of being restrictive the new rules would be a benefit. Before the new rules came in, it was possible with a UK spread betting account to make a $10 per point bet, up or down, on the Dow Jones Industrial Average trading over 25,000 with less than $2,000 in an account. Let’s say the Dow was currently trading at 25,500, and you think the Dow is going higher. You could enter a long trade, at 25,510 with a stop at 25,400, one hundred and ten points away. Initial margin is calculated by Point Size x Market Price x 5%, so under the new retail trading protection rules you would need: $10 x 25,510 x 5% = $12,755 to enter into this position. But this is only half the story. The new rules also require you to keep a large percentage of your account in cash to cover something called maintenance margin; that’s additional margin required if a position moves against you. Before the new rules, it was also possible to limit the amount of margin required to place a trade by adding a guaranteed stop, a price level where the broker literally guarantees your worst case loss as the difference between your entry price and your guaranteed stop. For example, if you entered a long Dow Industrial Average position at 25,510 for $10 a point, and you had a guaranteed stop at 25,400 then your worst case loss would be 25,510 - 25,400, 110 points x $10 per point, or $1,100. This $1,100 would be all you would have to have in your account to place the trade. You wouldn’t need maintenance margin because the worst case loss amount of $1,100 is already placed with the broker. You might be wondering if guaranteed stops work differently than normal resting stop orders, and they do in one crucial way. If prices gap through the stop, the broker will honour the stop level and exit your trade at the guaranteed level, and not at the next trade figure. Using the Dow trade, let’s say you entered long at 25,510 expecting the market to go up. Overnight there’s a market-changing event, and the futures markets go down 800 points. The next day the Dow opens at 24,710. With a normal stop you’d be down $8,000, but with the guaranteed stop your losses are capped at $1,100. Guaranteed stops aren’t available in all markets and are not available at all at conventional brokers. Guaranteed stops aren’t free. They are paid for with a wider spread at the opening of the trade. Today, after the new rules, the same trade would require $12,755 in margin plus the same again in cash balance on your account, regardless of whether you placed a guaranteed stop. This means before the new rules came into force in the summer of 2018, you could have placed the trade with $1,100 in your account, but today you’d need around $20,000 in the account for margin and cash requirements, depending on the broker. Rather than be a bad thing, for newer traders, it’s actually the opposite. Why? Because it forces them to take smaller positions and use less leverage. Remember the 400:1 leverage, the $4,000,000 position controlled with a $10,000 account and $3,990,000 of margin? What happens if the underlying market goes down 1%? 1% of four million dollars is $40,000. If you were trading with cash, you’d be down 1%, but because of margin, you’re down $40,000, or 400%, and not only is the account wiped out, you are on the hook to the brokerage company for $30,000. This is an extreme example, but the point is made. The new rules, MiFID II, ESMA, and GDPR, rolled out last year, help save inexperienced traders or traders who decide to take an all in bet because of a previous loss, from themselves. The 5%, the group of consistent and successful speculators, understand it’s not the entry that’s the most important factor; it’s the money management and position sizing. The new rules go some way to prevent new trader account blow up by using brute force to stop over leveraged trading. But there is more to it. In the past, the 95%, the group of consistently unprofitable and unsuccessful speculators, used leverage without understanding how the underlying market they are taking positions in behaves. One way to do this is to use the Average True Range. This is the average daily range the market moves a day, averaged over time, say twenty days. 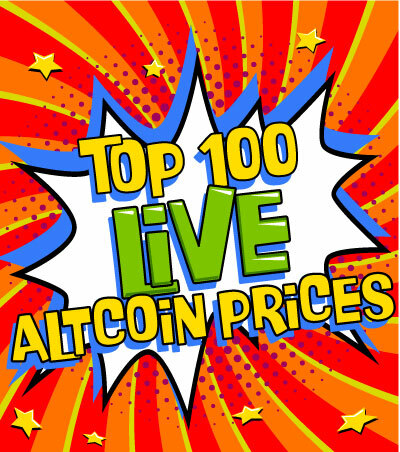 If a market has a twenty-day average true range of 0.5% and an inexperienced trader is using margin to trade a position with less than, or anywhere near this amount they are almost guaranteeing account blow up. For example, in the 400:1 leveraged trade, using a $10,000 account, a market move of 0.25% will blow up the account, yet the underlying market is actually moving twice this amount, 0.5%, on average per day. The most effective technique a new or losing trader can use is not to add more flashing lights, more indicators, or search for more opinions; instead, it’s to cut position size and become aware of the daily underlying movement of the market in question. The new rules forced brokers to separate their clients between retail and professional and ensured the broker you’re trading with gives you information about typical retail trading results. One thing that’s difficult to find out is what timeframe the results are based on, but one broker is currently reporting 81% of their retail clients lose money when trading with them. This is just the retail clients. To be a professional client, you either have to implement a certain number of trades over a specific period or have a certain amount of trade turnover. Assuming a large proportion of “professional” traders also lose, it gets close the 5% — 95% winners to losers. In the 1950s George Lane came up a technique to front run moves in price. His solution — the stochastic oscillator. At this time, if a trader wanted to display a chart visually, it would have to be drawn by hand. While this was manageable on a weekly or even a daily basis, it wasn’t practical to cover more than a handful of markets, and making intraday charts was obviously impossible. 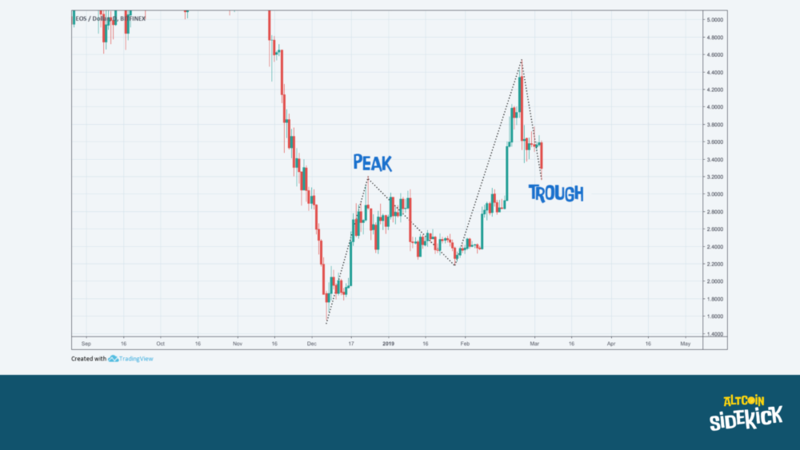 Lane developed the idea of using the variables of price, the open, high, low, and close to visually display the momentum. The Stochastic takes the closing price and compares the location of the close within the range of the bar. When the closes are near to the top of the range, this indicates strength, and readings near the bottom indicated weakness. Taken directly from engineering, Lane was attempting to visually plot the speed of the change in momentum of the underlying strength or weakness. Why? Because in theory at least, a shift in momentum precedes a change in price. Moving averages of the stochastic reading are calculated to give a fast stochastic and a slow stochastic. The indicator is bounded inside a percentage scale. When the fast stochastic crosses above the slow, a buy signal is generated. If the cross is close to the 20% level of the stochastic, it’s a stronger signal. But this methodology is 1950s thinking. It was a useful solution in an era of hand-drawn charts. Fast forward 60 years and the majority of traders still use the stochastic in precisely the same way George Lane plotted it in the 1950s. This is the Simon I. This is what a personal computer looked like in the 1950s. The kit cost $600. Adjusted for inflation that’s around $5,900 in today’s money. Not too expensive, but the price came with a caveat. You had to build it yourself. Even if you could afford it, and even if you had the skill to build it, the Simon had one insurmountable problem. Its memory wasn’t 8 gigabytes, or 4, 2, or even 1. It wasn’t even 1 megabyte, 100 bytes, or anything like it. It wasn’t even 1 byte. The Simon had a memory of 2 bits. That’s a quarter of a byte, known in the trade as half a nibble. This was the capacity of the Simon 1 personal computer, and it would be another 25 years before something useable came along — longer still if you wanted to plot your own charts. Lane’s Stochastic is just one of hundreds of indicators used by traders. They exist to do one job — Find an edge. The Stochastic, Gerald Appel’s Moving Average Convergence Divergence MACD indicator, Welles Wilder’s Relative Strength Indicator RSI, all of them are attempting to do the same job, and to do it, they all use the variables of price, (open, high, low, close) just in a different way. Using these tools today is like using the Simon I when you could use a 2019 top spec multi-screen desktop. The biggest problem with technical indicators is not the indicator itself, but you. Human beings are pattern recognition machines. Subtle shifts, changes in light, sounds, and our fight and flight system kicks in. This kept you alive in our hunter-gatherer prehistory but does not serve you so well when looking at patterns or shapes on a chart. You notice a pattern — Whirr-Click — you react. It’s subjective and not reliable. Computers can be programmed to find patterns. It’s just that computers can’t see what you see. You can instantly recognise troughs in price sitting on top of peaks. You can see indicator divergences in price, and you interpret this into a meaning. For example, when a trough sits on top of a peak, and there is a space on a chart between the low of the trough and the high of the previous peak, you interpret that to have meaning — Whirr-Click — New Demand. If troughs continue to sit on top of peaks, you interpret this as an uptrend. If peaks sit under troughs, you interpret this as a downtrend — Overhead Supply. The problem is that this process is subjective. You are doing a lot of work to come to this conclusion, but your in-built software, your brain, deals with this almost instantly in an efficient way. Most traders, especially retail traders, who can write a bit of code, program their algorithms to attempt to mimic how our human brain processes data. It’s easy for you to see the peaks and troughs. Not so easy to program though. Why? Because your code will include your subjective bias. One solution that could be used to create a peak and trough computer algo is to program changes in percentage moves off a high and off a low, but this leads to the subjective setting of percentage. What percentage do you use? 2%, 3%, 5%? And most traders thinking like this would backtest to see which percentage works best. Unfortunately for them, in doing this, they have just opened Pandora’s box. And this is just one of the problems with backtesting using code that has been designed to “behave” like us. It’s the sign of the amateur. Take the time to look, and you’ll see complex code proudly uploaded on social sharing sites. Although computers don’t do what we do well, they excel in other areas. Like scanning. As an example, let’s use the SP500. If you want to look for a stochastic setup visually, you can scroll through the chart of each stock manually and subjectively look for divergences. Let’s say you find 30 stocks that meet your subjective eyeball scan. What information can you glean from this? Which of the 30 stocks will you trade? How will you balance position size? For example, if one stock is trading at $100 and another at $132, and yet another at $27, how will you allocate your funds? It’s the same with a basket of commodities, how much do you allocate if crude oil, gold, and the SP futures all signal a buy? Using commodities also adds another variable. The point size of each contract. Unfortunately, a bushel of wheat is not priced with the same dollar value as an ounce of gold or a barrel of crude. Same with cryptocurrencies. How do you balance risk? The cryptocurrencies markets are highly correlated, and this means when a signal is generated in one coin it is often generated on many others. Let’s say you keep it simple and add Ethereum to your portfolio of assets. How will you manage overall portfolio risk? These are all critical components, yet by doing them manually, it’s massively time-consuming and error-prone. These are the tasks computers do well. There are plenty of software packages out there that can scan for conditions. But a software program is only as good as the instructions it runs. Garbage in. Garbage out. If you take the time to look, most algorithms uploaded by traders are far too complicated. The main reason is that the programmer is attempting to create a digital human. The solution is to understand computers can’t see — but they can scan. Programming subjective patterns, like head and shoulders, double tops, double bottoms, and flags is possible, but what is much more difficult to program is context. Context, where the pattern occurs, is critical, and this is difficult to code. Not only that, it’s not efficient. Again, computers don’t think (yet) and can’t see, at least not in the same way we can. So, what can a computer do? They can compare, and they can add. Non-computer people are generally shocked by this. For all the complexity, for all the advertised features, the number of cores, the memory, all of it, the digital computer that sits on your desk can add. If a computer is instructed to take away, it adds a negatively signed number. If it wants to multiply it adds in a loop, same with division, where it adds a negative number in a loop. Change is coming, with machine learning and AI, but real change will happen when computers are redesigned. Perhaps it will be quantum, maybe it will use organic components, but for now, they can add. What computers today do really well is compare. This is why computers systems used by the big funds generally have quite simple algorithms designed to exploit financial markets. If you break down the actual code into “English” pseudo code, the algorithms are so simple that most would think they can’t work. While the amateur trader is writing overly complicated (unnecessary) code, trying to create the equivalent of a human robot, the quants, the top minds recruited by Wall Street banks and funds, understand the limitations they are working with. The quants know that computers are good at scanning. And that’s why almost all algorithms running today scan for imbalances of supply and demand, or they scan for volatility, where supply and demand imbalances reach extreme levels. While the amateur retail trader writes code that generates lists of stocks that meet set criteria, the professional quant-driven algorithms generate this. A surface map, and the algorithm that created it is scanning for imbalances of supply and demand. It’s a surface map, and the algorithm that created it is scanning for imbalances of supply and demand. It could easily be adapted to scan for pockets of volatility or fear. The code that creates these visuals is robust because it can be run on the entire stock market, a basket of commodities, a portfolio, or a single market. And it can be easily adapted to scan for volatility. In some situations, a trend following strategy is deemed the most appropriate. In others, a neutral directionless approach. The image tells a story that the 5% can read, but the 95% cannot. Not using a strategy that matches an underlying market or even intermarket conditions, and not understanding how to manage risk and rebalance positions to keep risk stable are the most common tripwires that lead to a new trader’s demise. The 5% understand because of the limitations of computers, even today in 2019, the algorithms that are set loose on financial markets scan for supply and demand and volatility. So what? Almost all the volume going through financial markets today is computer generated. The algorithms sniff out supply and demand disparity and drive markets towards it just like a magnet. Fibonacci, Elliot Wave, Gann, all old school. Yes, a small minority of traders can make these methods work, but by a function of controlled money management and position sizing. The 5% look for the signatures of supply and demand imbalances because they know there is a high likelihood price will be driven towards them by the algorithms owned and run by the big boys. Across all asset classes, stock markets, foreign exchange, debt markets, and cryptocurrencies, while you are adding Fibonacci levels and looking at your MACD, the algorithms are working, scanning the markets for imbalances of supply and demand.